Fantasy Faire is Second Life’s largest gathering of fantasy designers, enthusiasts & performers. 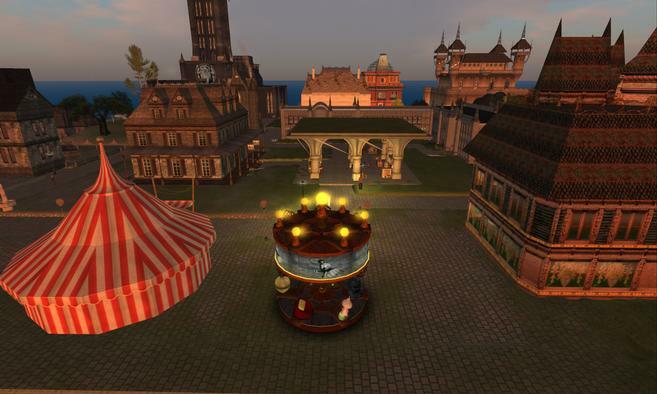 It’s eleven day of commerce, special events, music & fundraising in fifteen SIMs created specifically for this event. Proceeds go to the American Cancer Society’s “Relay for Life” fundraising effort. Last year’s Fantasy Faire raised more than US$34,000! This is the NeoVictoria Project’s fifth year sponsoring the faire; this year, we’re sponsoring the Quest! We’re also roleplaying on Beq Janus‘ grand library region named “Athenaeum Arcana“, with a cycle planned that includes many FREE roleplay props. Join us for “A Visit to Mrs. Chickenstalkers” and see you at the Faire!